The easiest way to draw organizational charts is to do it based on the Edraw organization chart templates and examples. Some organizational chart samples and tutorials are provided to help you understand organization charts. The tutorial explains how to create organizational charts using Edraw. The easiest way is to draw a new organizational chart based on the Edraw organization chart templates and examples. Edraw Org Chart is an organizational Chart diagramming program which can help you create business and technical diagrams that document and organize complex ideas, processes, and systems. Edraw's toolbars contain buttons you can use to issue commonly used commands. To find out what each button does, float your mouse pointer over (do not click) the button. Drag the Executive icon to your chart. After you create the new drawing, create the organization chart by dragging shapes from the stencil to the drawing page. An organization chart shape contains the name and title of the person represented by the shape. You can add more than one shape of the same type to your organization chart. For example, you might need five Manager shapes under an executive shape. You can insert all the Manager shapes by dragging the Multiple Shapes shape over the Executive shape. When you do this, the Add Multiple Shapes dialog box appears in which you specify the number and type of shapes to be inserted. In Edraw, users create org charts by starting at the top and moving to the bottom. So the first shape added usually represents an executive. However, the topmost shape could represent a manager or project leader if the user is creating an org chart for a single department or team. You can use the following two toolbars to layout shapes easily. You can also use the automation align function while you are dragging. 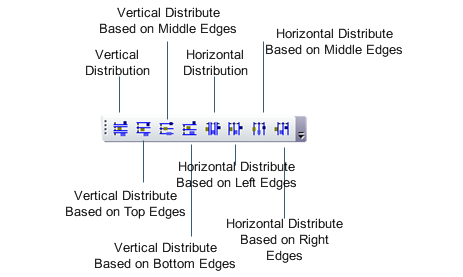 Very many pre-defined shapes have multiple text boxes. You can click the text region to edit every one. You can use the "Text Block Tool" to change their position, too. See how to edit text. 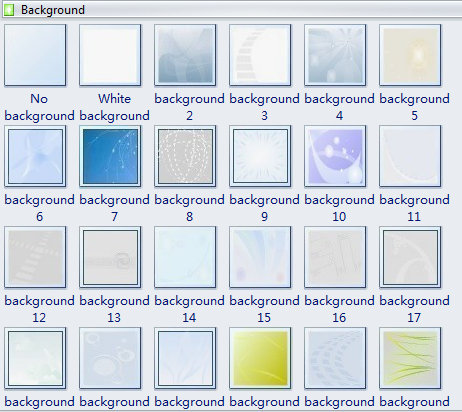 All the images in the Photo Shapes can be replaced with a local image file. 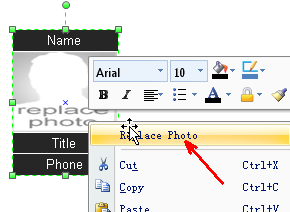 Firstly, select a photo shape then click the "Replace Photo" item in the context menu. Edraw provides some easy to use drawing tools, including line, arc, curve, freeform, rectangle and ellipse. You can create any shape with these tools. See How to create basic shapes. First click on the shape you would like to format, making sure that the green formatting handles appear around it. Click the Format > Fill Menu. Detail. Or you can use style and color scheme to fill shapes. Select Create from File tab.